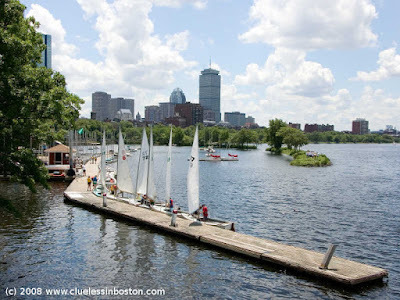 Another view of the Community Boating School on the Charles River. what a beautiful, lazy day that seems! Sweet. The little boats look like ducklings all in a row. But where's the mother duck?